21-year-old Sabrina Cammock, a popular college student studying public health at Syracuse’s David B. Falk College of Sport and Human Dynamic, was found dead in a Times Square Hotel room in New York yesterday morning Saturday March 7th after partying with friends the previous night. 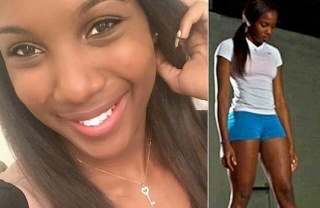 The athlete, who was a member of the Syracuse University track and field team, was on spring break with a group of friends when the sad event occurred, After partying, they retired to their room only for Sabrina not to wake up the next morning. No drugs were found in the room and there were no signs of trauma on her body. Despite this, some of her friends on Twitter are saying that someone may have slipped something in her drink while out at a club the night before, and whatever it was killed her in her sleep.